VOVSOFT Sticky Notes — Add digital stickers to your desktop and create reminders for your upcoming events, tasks or meetings using this intuitive software. 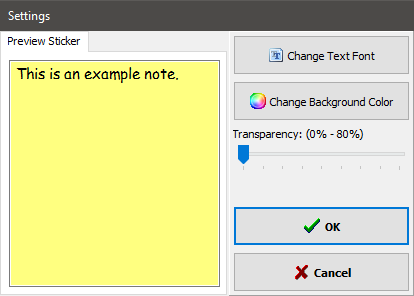 Vov Sticky Notes is a fairly simple program that enables you to create stickers which, just like post-it notes, serve to keep important information at hand. Additionally, it allows you to set up desktop alerts for upcoming events. The application’s main function is to enable the user to place colorful stickers on their desktop. You can create as many as you like, resize them and change the text font, but there is no option to hide the title bar and the Delete and New buttons. 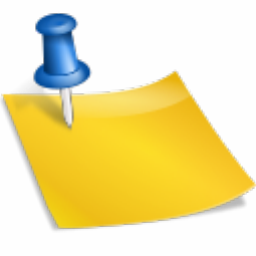 Additionally, the name displayed in the title bar is generated automatically, and it is not possible to keep notes on top of all other windows. Lastly, the notes cannot be hidden after they have been created. 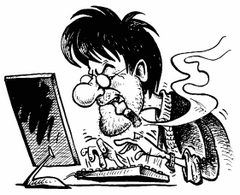 Therefore, you will have to delete stickers if you wish to remove them from your desktop. Size: 1,17 / 4,05 MB.